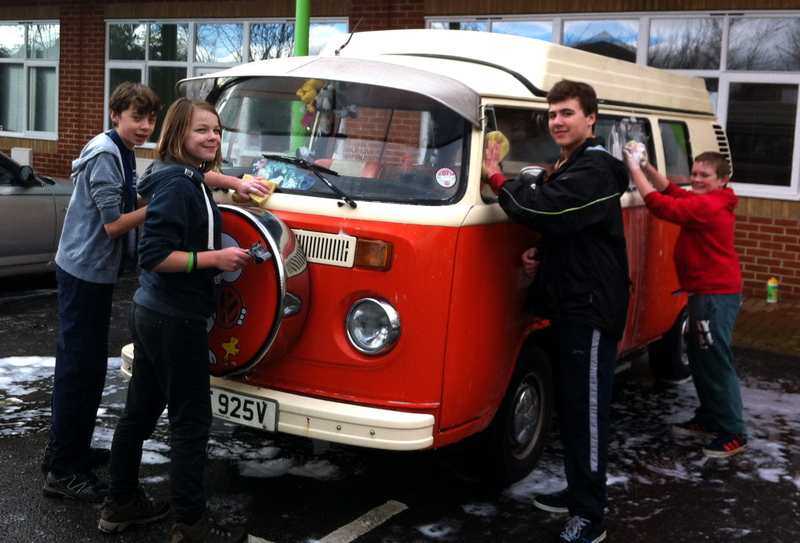 The 9 Scouts from Waterlooville District worked together to wash cars to raise funds for their trip. Basepoint Centre at Waterlooville kindly offered the use of their car park and conference room for the day. Customers were entertained with free coffee and tea and were sold cakes and the opportunity to have a go at a tombola while their car was being washed. After a day of very hard work the Scouts made a total of £450.